With four days remaining, we are hitting the home stretch for the Wing Commander Riff Cast’s kickstarter. On behalf of Matt and myself, let me say a huge thank you to everybody who has contributed to date. It is humbling and gratifying to see such wonderful support for our mad little project. As we edge closer to the goal line, it seems fitting to turn things up to eleven for the final few days. Rather than merely tweeting and posting facebook updates about the riff cast, I want to do some actual riffing. So on Saturday October 12 at 3pm Eastern I will be hosting a live and public Google+ hangout with the express purpose of riffing on select movie trailers. You’ll be able to watch the trailers in real time with others as I drink scotch and sound off on the marketing fodder for some of Hollywood’s worst movies. As of this post, there is a playlist of about fifteen trailers lined up and ready to go. Though I expect a few more will likely make their way on to the list by popular request. Of course Wing Commander’s trailer is going to be up on the chopping block. I’ll be posting links to the hangout tomorrow on the Page of Reviews facebook page, my twitter feed, and on this very post. Make sure you install the youtube app in G+ to watch the videos along with the group. 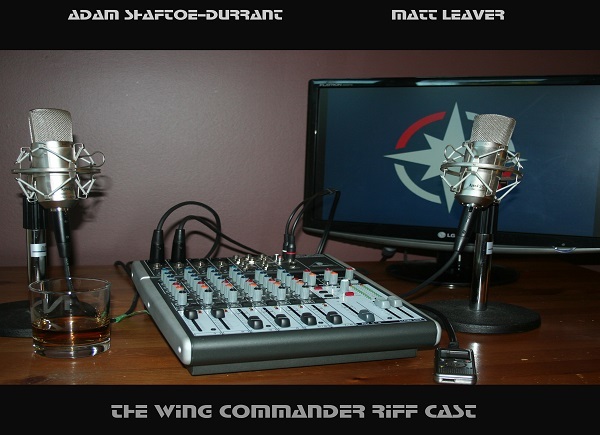 Meanwhile if you like the idea of Wing Commander getting some feature-length audio comeuppance for being such a terrible excuse for a piece of crap, feel free to click the “back this project” button, just to the right of this text. Our rewards positively shameless in the way we publicly recognize our backers.